There are a lot of things to do in and around Cedar City, especially if you like the outside. From Cedar Breaks to Navajo Lake and Cascade Falls, you really have so much to see when coming to SUU. 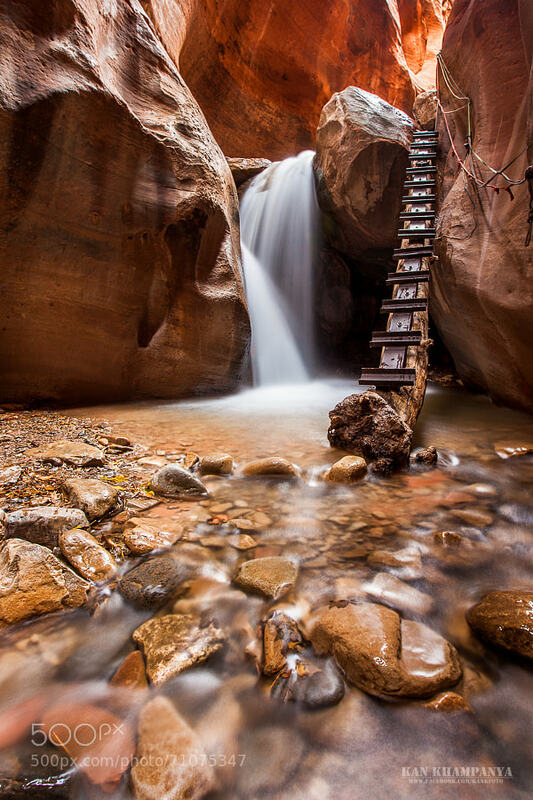 One of Cedar City residents favorite past times is going to Kanarraville Falls just outside of Kanarraville. There’s a parking lot right up next to the mountain where you park and then you head up into the hills. Before long you’ll find yourself in a slot canyon as you wander up through the water (yes you’ll get wet on this hike but there’s no way around it). Then you’ll reach this image location or the famous waterfall ladder. Larry H Miller Megaplex Theatres has two theatres in Cedar City. One at the north end of town and one at the south end of town. Both have digital projectors with digital multi-channel sound systems. This is one of the state of the art surround systems available in Southern Utah. Check it out for a superior movie experience.